This means that a calendar “invitation” will be included in your email. This invitation (an .ics attachment) makes it easy for the candidate to add the interview to their calendar with one click. 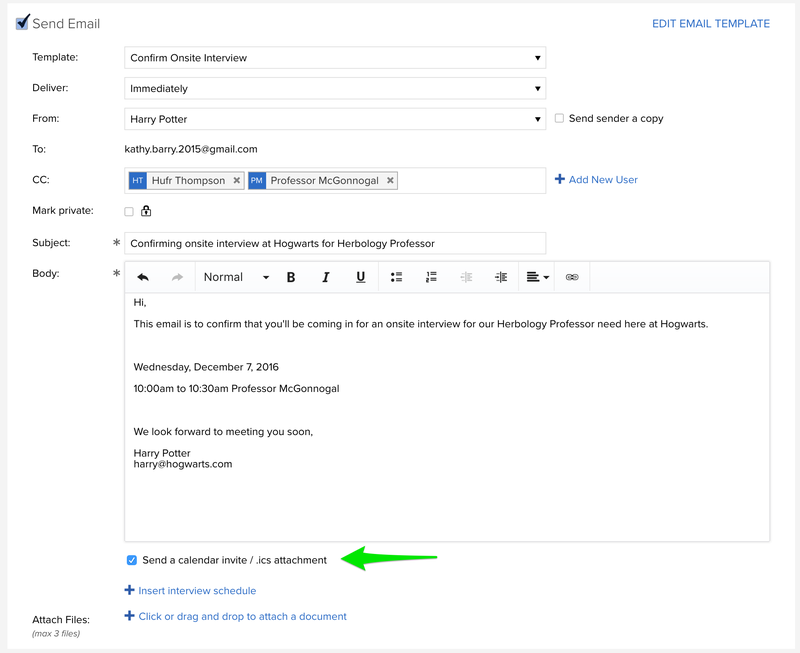 The calendar event, should they choose to add it, will include the subject and body of your email so they have the information they need at their fingertips. Invitations are now sent by default whenever you choose to schedule an interview and send an email at the same time. If you prefer not to send a calendar invite to the candidate just uncheck the box.